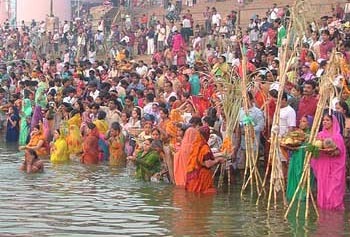 Four-day Chhath festival is being celebrated with religious fervour and gaiety across north India. Also known as Surya Shashti, the festival is celebrated six days after Diwali. Offering of arghya to the setting sun will be done today while on Wednesday arghya will be offered to the rising sun. In Delhi elaborate arrangements have been done for Chhath puja across the various ghats across the city.